Apples are the most researched fruit of all for cancer prevention, and in multiple population studies have been shown to reduce the risk for lung cancer, breast cancer, pancreatic cancer, non-Hodgkin lymphoma, and colon cancer at a dose of one apple daily. But researchers still don't know exactly how they do it. Apples do deliver high doses of several powerful antioxidants such as phloridzin, chlorogenic acid, quercetin, caffeic acid and proanthocyanidins—each with demonstrated anticancer properties. But when considering colon cancer, most of these compounds will already be digested and absorbed before ever reaching the colon. Enter a new class of compounds called oligosaccharides. They've recently taken the spotlight for delivering a wealth of different health benefits. And unlike apple's other compounds, oligosaccharides are not easily digested or absorbed. Roughly 90% of them will make it to the colon intact. That makes them a prime candidate for being key to preventing colon cancer, and yet very little research has been done on them in this respect. Colon cancer is currently the second leading cause of cancer-related death for women worldwide, and the third leading cause for men. The standard-of-care chemo drug used for colon cancer has seen limited success, and can have serious side effects such as coronary spasm, neurotoxicity, anemia, and immunosuppression. 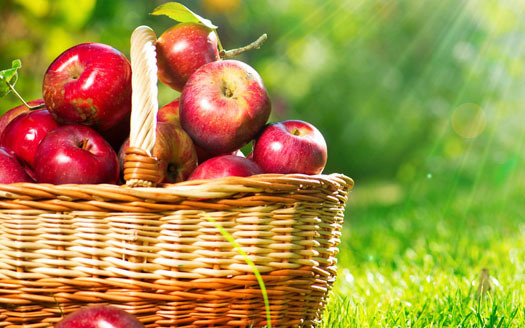 Apples happen to be one of the most potent foods at reducing the risk for colon cancer. A recent study out of Europe showed that those eating at least one apple daily at 63% less risk of this cancer. Even though oligosaccharides are found in several other foods such as chicory root, Jerusalem artichokes, onions, leeks, garlic, legumes, asparagus and wheat, they don't have the same track record for preventing colon cancer as apples do. That's why researchers decided to test the oligosaccharides from apples for their ability to fight colon cancer. And they were quite surprised at just how powerful they were. University researchers in Xi'an, China isolated polysaccharides (pectin and other fibers) from apple pomace and treated them with natural pectinase to break down their molecules into smaller oligosaccharides (which have only three to ten sugar units per molecule). The oligosaccharides were then added to cultured human HT29 colon cancer cells at various concentrations, and compared with the most commonly used chemo drug for colon cancer. For every concentration tested, the oligosaccharides outperformed the chemo drug at inducing programmed cell death (apoptosis). For example, at just 0.9 micrograms per mL (about 0.9 PPM), oligosaccharides killed 17.6 percent of the colon cancer cells after 36 hours, while the chemo drug killed only 10.9 percent (at a higher concentration of 1.3 micrograms per mL). More importantly, because the apple oligosaccharides are non-toxic to healthy cells, they can be likely used at higher concentrations than possible with the chemo drug. At 9.0 PPM, the oligosaccharides killed 46 percent of the colon cancer cells (the chemo drug was not tested at this level). It's important to remember that this is just the first step in developing apple extracts as a treatment for cancer, and that results in a test tube might not be replicated in human patients. However, it's very rare that this is done with extracts from a food already widely consumed by people and established to strongly reduce cancer risk! Oligosaccharides have been gaining increasing attention recently as general health-promoting functional foods, and are probably used to enrich several foods you already eat (i.e. as fructo-oligosaccharides). They have been found in studies to promote healthy intestinal flora, control blood sugar, and modulate the immune system. Oligosaccharides occur naturally in several common foods as mentioned above. But they can also be formed by breaking down the fruit's more complex carbohydrates (i.e. 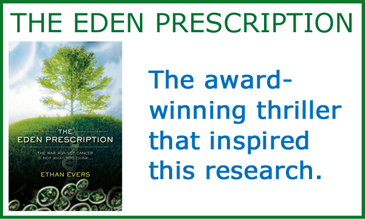 pectin) by pectolytic enzymes, as was done by the researchers in this study. To some extent, this reaction may also occur when eating the raw fruit, since apples naturally contain about 1.5 percent pectin as well as the pectinase enzyme. However, it should be noted that most commercially processed apple juice contains virtually no pectin or active enzymes, and also contains as little as 10 percent of the health-giving polyphenols compared to raw apples. As usual, eating raw and fresh is far healthier than consuming the processed version. This new study adds further evidence to the health-promoting effects of apples and the potent anti-cancer effects of their oligosaccharides, even at low concentrations. The fact that these oligosaccharides can be derived from apple pomace, which is a widely available waste product of the apple juice industry (about four million tons of pomace are produced annually) offers promise for a low-cost natural medicine in the future.